When Pring Am’s adult son could no longer afford to support her, the 67-year-old grandmother returned here to the tiny rural village near where she grew up. Left with no family to rely on and no land of her own, Am felt compelled to do something she never thought she’d have to since the dark days of the Khmer Rouge: she started begging for food. This small village was linked to the national power grid for the first time only in the last year. But the progress hasn’t reached everyone. Kim Vuthy was shocked when he started seeing elders like Pring Am begging on the main road of his hometown. Cham Bak was never a wealthy village, but he thought it deplorable that so many of his elders were living hand-to-mouth existences at their advanced ages. The 30-year-old decided he wanted to do something about it: he opened the doors to what he believes is the first retirement home in the country. Pring Am was the first resident. Vuthy’s retirement home is a modest affair—a few simple rooms behind his parents’ family home, sparsely furnished with bamboo beds, mosquito nets and flickering solar-powered lamps. It’s run largely on intermittent donations and volunteer time. But in a society where the idea of sending one’s elders away to be cared for by strangers goes against the grain, the very existence here of a retirement home for destitute seniors is an early symptom of a looming dilemma for policy-makers: the rapid aging of the population. It is a global trend. As fertility rates drop and health improvements boost life expectancy, countries are seeing the average age of their populations soar. But in many nations across Asia, the speed of this transformation is unparalleled. There are already more than 170 million elderly people living in China. While people older than 60 now make up about 13 percent of its population, that could more than double within a generation, according to statistics from the United Nations Population Division. By 2050, this age group could represent almost one-third of the population in Vietnam; at the moment, it accounts for less than 10 per cent. Across Asia, governments will be straining to deal with a population transformation that will have evolved at an extraordinary pace. “It’s unprecedented in human history,” says Zachary Zimmer, a demographer and sociologist at the University of California, San Francisco. It’s a societal issue, but also one with major economic implications. As populations get older, the proportion of working-age adults able to support their elders—and contribute tax dollars to public services—will shrink. In China, there are about nine working-age people between the ages of 16 and 64 for every person older than 65, according to the UN. Projections suggest this will fall to only three by 2050. Forty years from now in Singapore, there could be only two working-age adults for every senior—one-quarter of the current ratio. Asia’s relatively young labour force has fueled huge economic gains over the last half-century. But with no policy response to this demographic shift, one of its greatest strengths could become an economic burden within a generation. So reactions to the aging phenomenon must occur as rapidly as populations are maturing, Zimmer says. That could involve policies encouraging older people to work longer, past traditional retirement ages, or approaches that make it easier for younger people to take care of their elders. “We tend to view older people as kind of an unproductive part of the population and that’s fine when they’re a small percentage,” Zimmer says. The problem is also compounded in developing countries, where resources are stretched thin and the social safety net may not be wide enough for everyone who needs it. “It’s more and more difficult for adult children to take care of their older parents,” says Annie Nut, country director in Cambodia for the non-governmental organization HelpAge International. Nut advocates for the creation of Older People’s Associations. They’re run as a type of co-op for the elderly, where membership dues can be pooled and directed toward small loans or grants, or tools like rice banks to supplement tenuous food supplies. It may be an interim measure in the absence of full government services, but Nut says this village-level safety net can work. The Cambodian government has adopted the model and there are now more than 300 in communities across the country. In a sense, Cambodia has time to watch what neighbouring countries are doing, and choose the options that work best. Decades of conflict and a post-war baby boom mean Cambodia is still one of the youngest countries in a rapidly greying region. 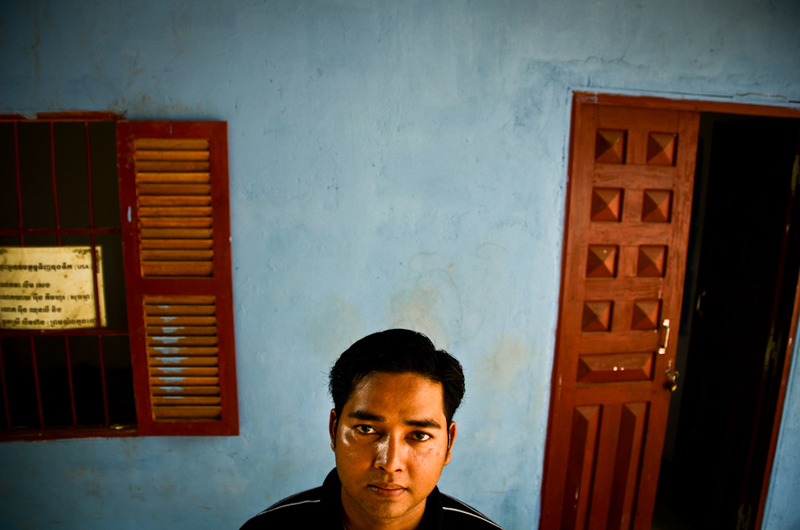 But the adult survivors of Pol Pot’s Khmer Rouge regime have become the elders of today. Within 20 years, the proportion of elderly in Cambodia will start to more closely resemble its already aging neighbours. Still, the change that is sweeping through the region can already be seen in parts of rural Cambodia, like Pring Am’s village outside Phnom Penh. A paved highway has cut the once lengthy journey to the capital down to a couple of hours. But it also pulls away some of its most productive residents. According to research from Cambodia’s Ministry of Planning, a survey of village leaders suggested that, on average, four percent of villagers had left their rural homes in the previous year. More than 9 out of every 10 villages had experienced a population decrease; in dozens of villages surveyed, more than 10 percent of the population had left. Like Pring Am’s son, younger people are moving toward the cities in search of work. And they’re leaving their elderly relatives behind, prematurely greying the country’s rural communities. For her part, Am says she’s happy to now have a roof over her head and food to eat. But she knows there are others like her who aren’t as fortunate. “When I was young,” Am says, “we took better care of our elders. The young generation these days, not all of them do." The print version of this story was published in Southeast Asia Globe magazine.